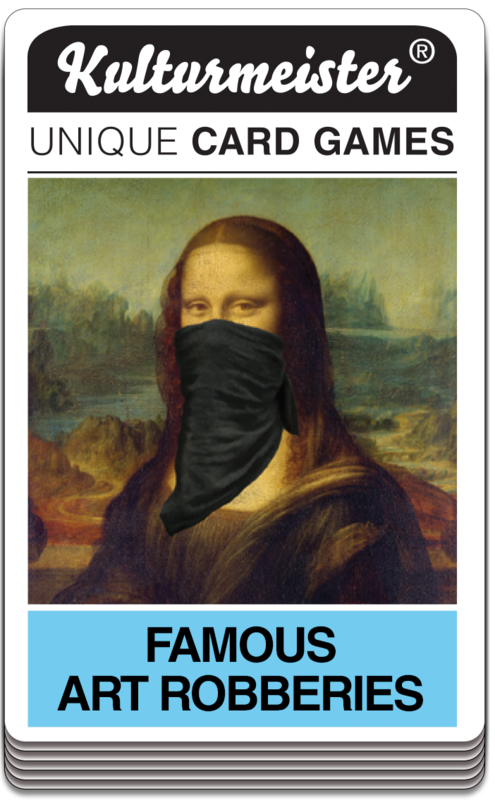 Produktinformationen "Quartett FAMOUS ART ROBBERIES"
Play a cardgame with the most spectacular art thefts of all times! 32 art robberies bundled in one card game with stolen paintings from over six centuries. Once again, Hollywood presents reality through a distorting mirror - art theft is not the pasttime of bored millionaires (The Thomas Crown Affair) but is rather a branch of organized crime. Masterpieces of painting are used, for example, as collateral for financing drug deals or to extort the release of imprisoned IRA terrorists. Sometimes petty crooks simply catch a lucky break when a museum's security system temporarily breaks down. 35 cards with included cover and game rules. 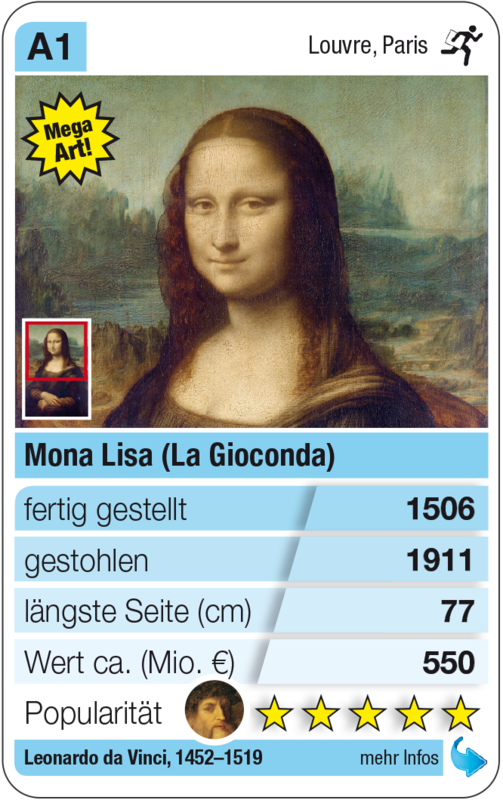 Weiterführende Links zu "Quartett FAMOUS ART ROBBERIES"
Kundenbewertungen für "Quartett FAMOUS ART ROBBERIES"